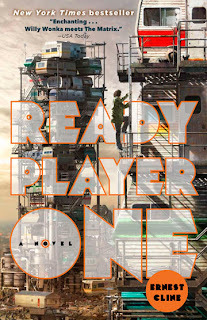 Fans of science fiction, video games and pop culture should add New York Times Bestseller “Ready Player One” by Ernest Cline to their list of must-reads. USA Today has referred to it as "Willy Wonka meets The Matrix.” Although this may seem to be a strange comparison, nothing could be quite so accurate. On planet Earth in 2044, real life is pretty dismal. Most of society, including teenager Wade Watts, spends its waking hours plugged into the OASIS, an immense & fully interactive virtual world. OASIS users can be anyone and do anything that they choose. Think of the OASIS as a giant role-playing game…except the main character is you. Users can explore countless planets, purchase real estate, slay monsters and even attend school (as Wade does). Wade's life changes when James Halliday, the enigmatic & reclusive creator of the OASIS, dies...leaving behind an enormous fortune and a mysterious contest. Halliday can best be described as a blend of real-life magnates Steve Jobs and Howard Hughes. 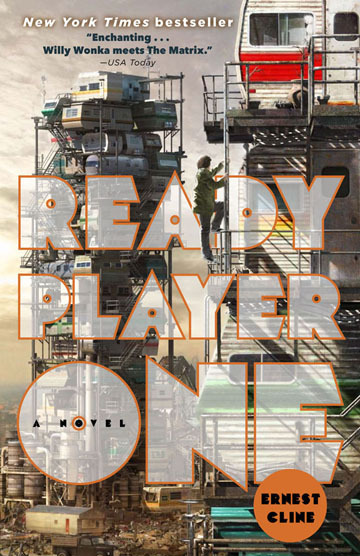 In "Ready Player One", Halliday spent his life obsessing over 1980's pop culture, and has promised to award his entire estate to anyone who can solve the intricate riddles and puzzles he has installed inside the OASIS. We refer to such hidden references and messages as “Easter Eggs”, so in this case the grand prize is referred to as “Halliday’s Egg.” Anyone who is going to obtain The Egg needs to have a thorough understanding of the music, movies and (most importantly) the games of that time period. The search for “Halliday’s Egg” launches a new breed of cyber-adventurer, called “Egg Hunters” (or “Gunters”, for short.) Armed with his collection of "ancient" television programs, movies and albums, Wade is ready to meet this challenge head-on. But what happens when he encounters others who will stop at nothing in order to claim Halliday's legacy for themselves? Danger, excitement and possibly love await Wade...but he may need to reexamine his notion of reality in order to achieve his goals. You may already be familiar with author Ernest Cline if you have seen the 2009 comedy, Fanboys. Cline penned the screenplay, which centers on a group of obsessed Star Wars fans who conspire to infiltrate George Lucas’ “Skywalker Ranch” and obtain a copy of Star Wars Episode One: The Phantom Menace before it is released to the public. Cline also wrote a fan screenplay for an imaginary sequel to the 1984 cult classic, The Adventures of Buckaroo Banzai Across the 8th Dimension. In his spare time, Cline purchased & drives a DeLorean (think of Back to the Future) and recently held a contest in which the winner also received a DeLorean of their very own. Recently, Warner Brothers purchased the film rights to “Ready Player One”, so fans have that to look forward to on the horizon. 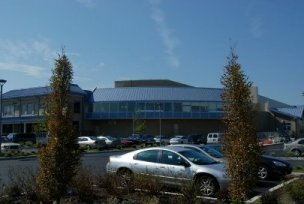 In the meantime, the Ocean City Free Public Library has copies of the book and audio book (which is narrated by nerd extraordinaire, Wil Wheaton). If you're ready to embark on a epic adventure, stop by and check out a copy! I originally borrowed this book from a friend who recommended that I read it. I took it on vacation with me and couldn't put it down. Fantastic read, I loved it so much I purchased my own copy.